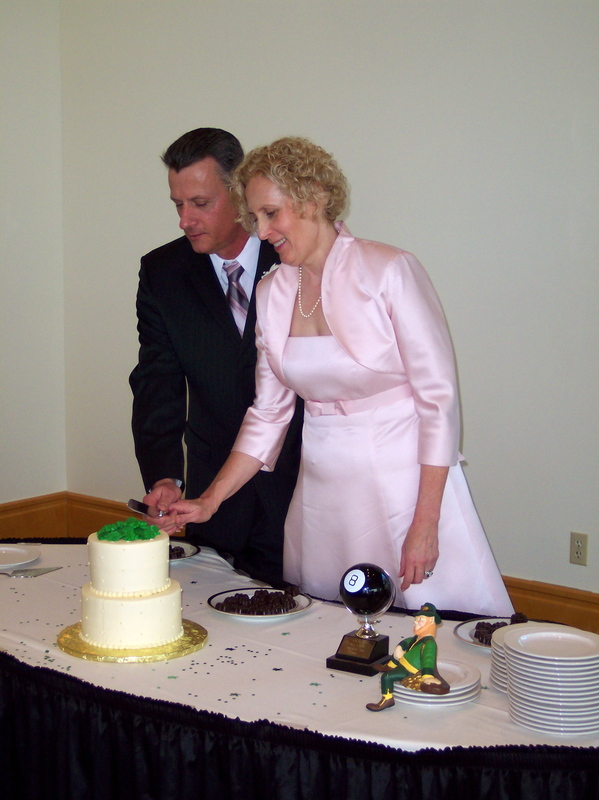 St. Patrick’s day is the perfect day for an Irish wedding, don’t you think? Cousin Vickie and her fiance, now husband, Ed, thought so, too. 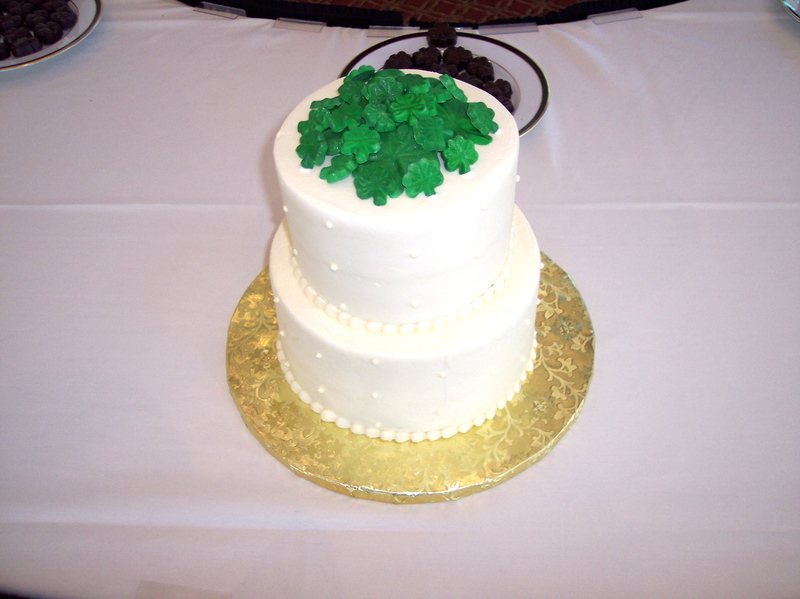 So I spent my St. Patrick’s day in Beavercreek, Ohio, first attending a lovely Irish-themed wedding celebration, complete with green candy shamrocks on top of the wedding cake, then lifting a pint (or two) at a nearby pub. Everything was perfect. The weather was glorious and the setting was sublime, overlooking the eighteenth hole of a Jack Nicklaus-designed golf course. 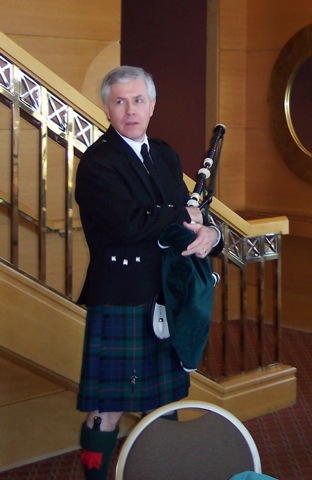 The music was performed by a very skilled piper named Greg Martin—and, yes, he did play Marie’s Wedding. 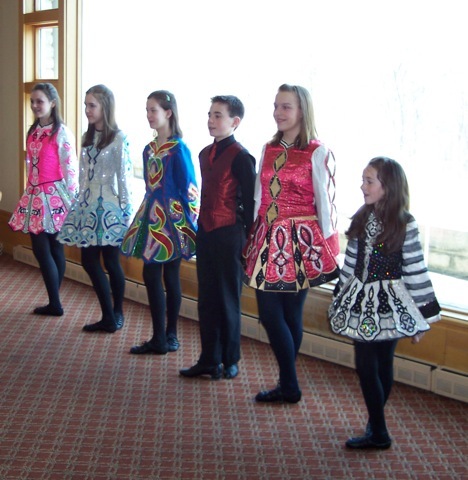 And entertainment was provided by a wonderful troupe of very talented and skilled Irish dancers from one of the local Irish dance schools in Dayton, Celtic Academy of Irish Dance. The bride was pretty in pink and the groom was his usual handsome self. Cousins came from far (California) and wide (Tennessee), the matron of honor came from Florida, and relatives of both the bride and the groom came from Carlisle (Pennsylvania and Indiana, respectively) to enjoy the festivities of this wonderful day. 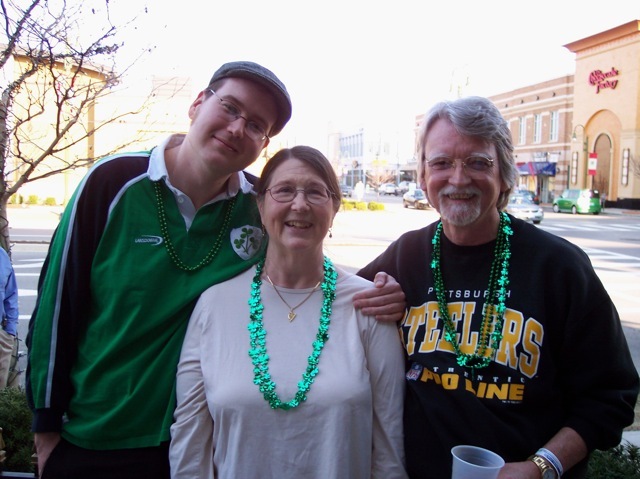 A good time was had by all, and the Guinness and Smithwick’s was flowing at The Pub. Heck, there was even some knitting going on. The DH’s cousin from Tennessee, Cindy, is, like me, an avid knitter. She was working on a lovely baby blanket for charity, done in garter stitch and knitted on the diagonal, with yarnovers creating a lacy border. I was working on a sock. Cindy hasn’t tried socks yet, but her DH, who obviously is a well-seasoned husband of a knitter, told her, You make mittens all the time. If you can make mittens, you can make socks. How right he is. I see many pairs of socks in Cindy’s future, cuz once you start making socks, you just cannot stop. So, now you know how I spent my St. Patrick’s Day. How did you spend yours?